INDUSTRY.co.id - Jakarta - The government must be strong-willed to politically lobby the FAO (Food Agricultural Oranization), so that the world body under the auspices of the UN in food affairs wants to include palm as a forest plant. 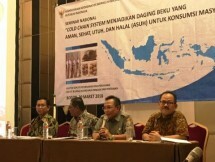 "It needs a strong political will and lobby from the government to include palm as a forest plant in accordance with the criteria of FAO," said Prof. Dr. Ir Dodik Nurrochmat MSc in Jakarta at the weekend. 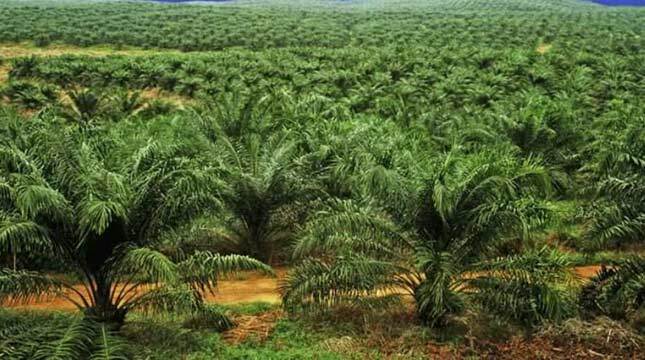 Dodik argued that the FAO decision not to include palm as a forest crop, is hegemony of interpretation from a group of competing palm countries with an interest in sustaining the oil industry. According to Dodiek, at present, all types of coconut plants, except for palm into the category of FAO, as forest plants. Palm actually has the required criteria of FAO that has a stem height of at least 5 m, has a 10% -20% area cover, a minimum area of ​​0.5 m and width of the path above 20 M.
In many cases, we understand how strong the political diplomacy of vegetable oil-producing countries like sunflower seeds and others to protect their flagship commodities. Therefore, Dodiek said, the need for strong political will to fight for oil palms as forest crops so that forestry and agricultural authorities are not always lost in diplomacy in international forums including FAO forums. Indonesia, said Dodiek needs to learn from China who has strong political will to enter bamboo as forest crops. "For a long time Bamboo has been included in the FAO forest tree category because of the Chinese government's political struggle and will to push its flagship commodity." Palm as a forest plant, never launched MS Kaban who served as Minister of Forestry. Through the Ministerial Regulation concerning the guidelines for the development of Industrial Timber Estate (HTI) and timber forest product utilization permit on HTI or IUPHHK-HTI palm oil is included as one of woody annual crops that can be used for HTI. Unfortunately the policy did not last long, because the lobby and the interests of a number of parties who cornered the palm as a commodity that does not have aspects of sustainability and ecology. Meanwhile, as quoted from the official website https://www.ipb.ac.id, Faculty of Forestry Bogor Agricultural University (IPB) will arrange academic manuscripts as a basis for consideration and proposals to make palm as one of forest plants. The drafting of the academic script is a continuation of suggestions and inputs of stakeholders in the Forum Discussion Group (FGD) themed "Palm Oil and Tropical Forest Deforestation" in Bogor, last week. Professor of IPB Faculty of Forestry as well as Coach Center for Advocacy and Nature Conservation Study Prof. Dr. Yanto Santoso in Jakarta said a strong impetus to draft the academic script so that the future of palm can be planted in the area of ​​Community Plantation Forest (HTR) and Industrial Plantation Forest (HTI). That, said Yanto, according to the plant's micro spatial arrangement of palm oil plantations which is a mosaic landscape with other types of plants. The preparation of the academic script aims to maintain and guard the development of oil palm plantations as a national strategic commodity as well as dismissed the issue of palm as a cause of deforestation. From the legal side, deforestation is the transfer of forest area into non-forest land use. Meanwhile, many studies reveal that palm oil is not a cause of deforestation because palm plantations do not come from forested areas. "Through the preparation of academic texts, the people will understand that the presence of palm oil actually increases the forest cover area," said Yanto. A similar opinion was expressed by the Dean of the Faculty of Forestry, Dr. Ir. Rinekso Soekmadi, MSc. Rinekso argues, academic script is necessary because palm is a mainstay commodity of national income and foreign exchange Indonesia. Oil palm plantations worth fighting for providing income and economic value is high and meaningful for the people of Indonesia. In addition to being efficient in terms of yield for limited land, there is currently a concern to stigmatize the whole plant. "It's not the plants that matter, but where we plant it," Rinekso said.